Dear Sai Baba Accepted my Food! Om Sai Ram everyone. Thanks to Admin of this platform, a nice collection of beautiful experiences actually made my day. I can manage to go through a daily experience without disturbing my other activities. 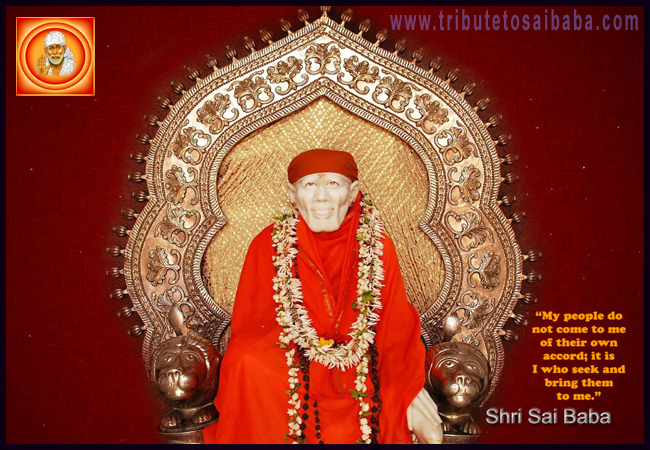 Sai baba came to my life when I was in need to someone to hold me and destroy all pains in my life. It was a pleasant evening and I was in a lot of tension due to personal and non-personal stuff going in my life. Yesterday evening, I planned to distribute food to the homeless people. I prepared food and went to a place where I can find people to hand out food. After reaching the destination, what I saw, there was no one available to whom I could distribute the food. I was not able to figure out what to do, except praying our Sai baba and asked what to do with this food now. I was talking to Sai Baba and at the same time, I saw a Saint, in a white dress who was coming towards me with a big smile. I felt like my lord Sai Baba himself coming to accept my food. I happily offered him food and just after that, I saw a lot of people came. I distributed the food to them. That Saint was in my mind throughout this activity and still I am not able to wipe out those memories. I felt very blessed.